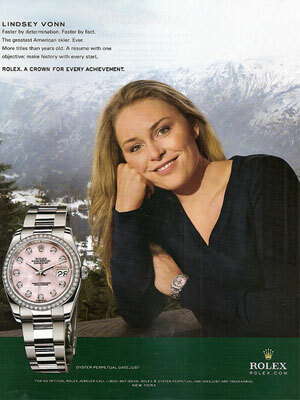 Lindsey Vonn (born 18 October 1984 in St. Paul, Minnesota), is an American World Cup alpine ski racer. 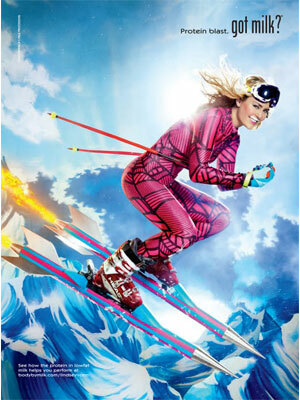 She won a Gold Medal in the 2010 Winter Olympics and the Bronze in the 2018 Olympics both for downhill skiing. 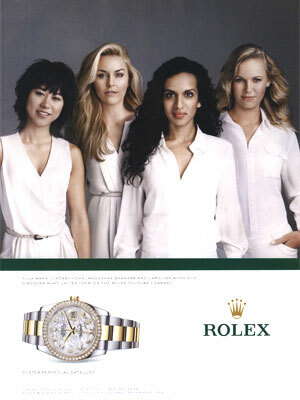 Lindsey is featured in the Rolex 2010 ad campaign, and Got Milk? campaigns. Lindsey Vonn - Got Milk?